After 14 years of being a cigarette smoker I quit 8 months ago. Over the summer I picked up a one time per week cigar habit as I miss smoking something when outside in the nice weather. I therefore picked up a basic humidor off Amazon (http://www.amazon.com/Quality-Importers-Desktop-Humidor-Capri-Glasstop/dp/B002TOK352/ref=cm_cr_pr_product_top) and a Drymistat Humidifier Tube (http://www.amazon.com/gp/product/B000H69QHA/ref=oh_details_o00_s00_i01?ie=UTF8&psc=1). Please help me get this thing at the proper humidity level by giving me step by step instructions (like I was retarded) on how to do so. The directions that came with the humidor are brief and read like a foreign language to me. Hey welcome to the forum! I seasoned mine by following the steps in this link! Welcome to the forum... I will bump the Kitty litter thread by catfishblues great thread with well written instructions. I recommend this video as a general guide because they do not use the wipe down shortcut method. 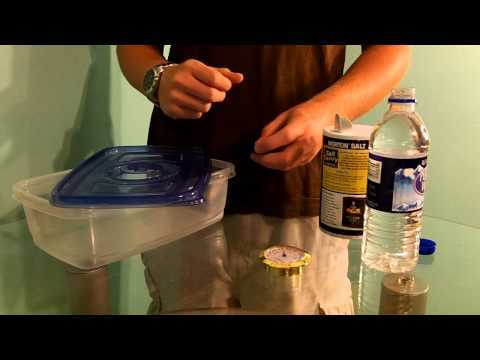 I think the method described in this video is better for the wood inside your humidor. It takes longer but doesn't risk warping any of your delicate spanish cedar. I'm pretty sure your owners information states that you should not wipe down the interior of the humidor. 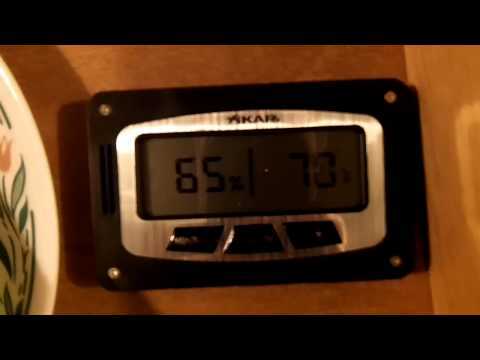 The xikar hygrometer will be more reliable and much easier to calibrate than the one that comes with your humidor. If you must use the one that comes with your humidor, you need to remove it from your humidor and calibrate it with a salt test. Welcome to the forum and congratulations on quitting cigarettes. Everybody here is very helpful and we'll be willing to answer any questions you may have.